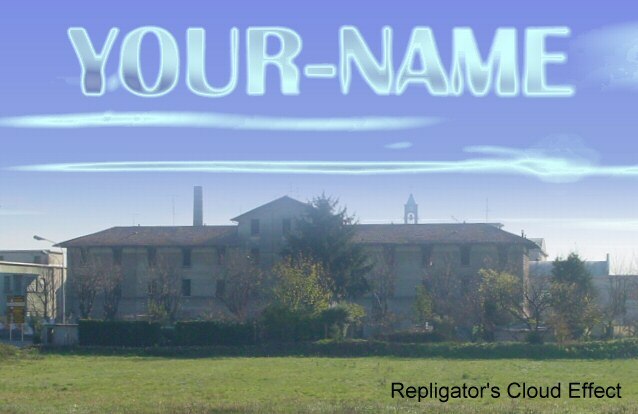 As you can see I have written your name in white on the blue background of the sky. You can actually choose any color for the letters because the effect notices the contrast rather than the color itself. I used Paint Shop Pro 5 (old I know, but very reliable) to add the text. Anyway. 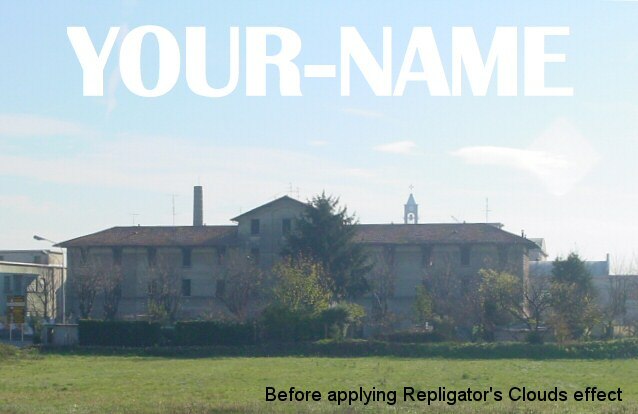 Next you bring in the image into Repligator with the clipboard or the file open menu and select "Clouds" as the effect to apply. Note in the above screenshot that I have chosen "Top-Bottom" mix (see the combo box at the bottom of the dialog.) That means that the top of the image will have the effect applied, but the bottom not.